Hello everyone! I'm so happy to tell you that I am the guest card designer for August at Sketch N Scrap!! I love taking part in their challenges and was so thrilled that they chose me as their guest designer for August! I would love it if you would go over and leave some love! And see the fab new sketch challenge that just went up. What do you think? I love that little owl! He is just so stinking cute! I fussy cut him out and adhered him with pop dots to give the card more dimension. Do you ever find awesome scrappy goodies at garage sales or thrift stores like I do? There was an estate sale in my neighborhood last weekend and I got an extremely large (think gallon zip lock) bag of sequins for $1!!! Of course I had to get a few on this card! lol. So my owl has sequins for eyes. You can never have too much sparkle right!? I hope you have a chance to join in on the challenge at Sketch N Scrap! Thanks for stopping by and looking today. Until next time...happy scrapping! What an adorable card! I love owls and this one is super cute with his sequin eyes! Thanks for joining us as Guest Designer this month at Sketch N Scrap! Congrats and I love the card!!! Congratulations on being the Guest Designer at Sketch N Scrap. 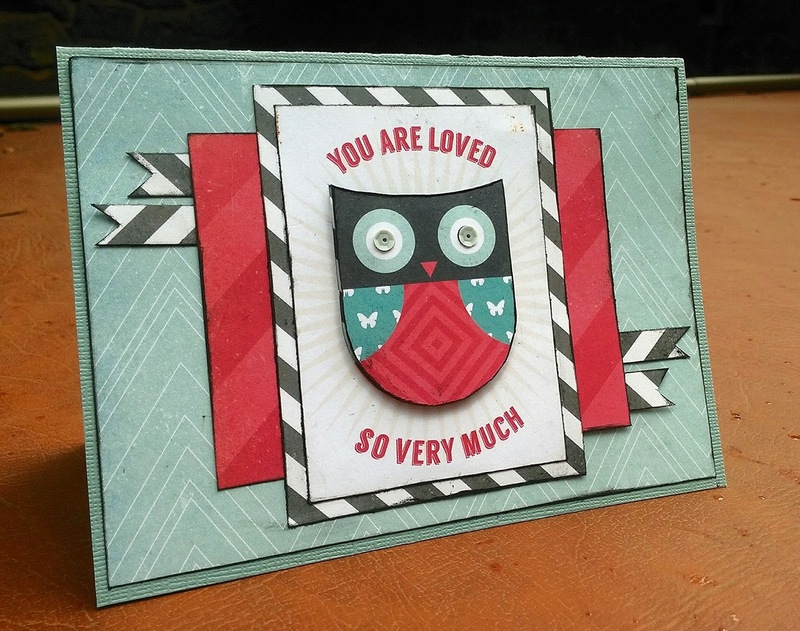 Your card is beautiful and LOVE LOVE LOVE the owl and use of sequins.